At Fuzzy Math, we are designers, problem-solvers, and innovators who help businesses deliver meaningful experiences to their users. Our services are one of a kind, and we aren’t the only people who think so. We are excited to share that we have been named an industry leader on Clutch, the premier B2B ratings and reviews platform. Clutch uses in-depth market research, gathering information on marketing presence, company portfolios, and client reviews to gauge the quality of service providers in various industries. 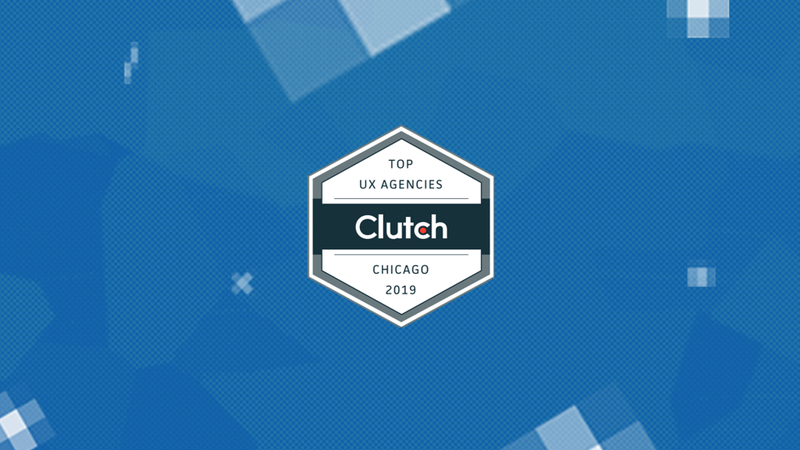 After being put through the wringer with more than 150 of the top UX designers in Chicago, we are proud to be ranked as number one. We love hearing from our clients, but their feedback serves a higher purpose than making us feel appreciated. Every review that rolls in offers us an opportunity to improve ourselves and our services, and we cannot wait to see what else our clients have to say. In addition to our feature on Clutch, we are also listed as a top global firm on their sister-site, The Manifest. The Manifest offers how-to guides and industry insights to firms of all shapes and sizes, helping them identify and resolve a number of potential challenges. We were highlighted as one of the top UX design companies in the world, with notice being taken of our cost efficiency and the high repute of our clients. Our feature on this list highlights our quality as a digital partner, in Chicago and far beyond. And to further demonstrate the quality of our work, we have created a portfolio on Visual Objects, a portfolio sharing service for designers and developers like us. We hope that our reputation combined with this showcase of our work helps more firms decide to invest in quality UX. Earlier this year, we were delighted to learn were received four other Clutch top agency lists, including the 2018 Global Design Leaders. Once again, we are honored to be recognized as a global leader in our field of UX Design. We are extremely fortunate to have worked with such amazing clients — and grateful that our clients think so highly of our team and work.